Tomorrow is International Day of the Girl Child. Every year the international community take time to stand up for girls all over the world and bring their voices into the spotlight. But why do they do this and what does it all really mean? Well, globally you are 3 times more likely to live in poverty if you are a girl and girls are also more likely to be left out of education than boys. Global development plans often leave girls issues out and they get left behind or swept under the carpet. So lets stand up for girls and be their voice when often their own voices are silenced. This year I want to particularly highlight the issues that teenage girls face. Being a teenage girl anywhere in the world is a challenging affair and what happens during these years is formative and has an effect on the rest of a girl’s life. I would know because I was once a teenage girl myself. I can honestly say that if I did not have the support of some amazing people around me and the opportunities that my privileged life has given me I would not be the person I am today. But being a teenage girl living in abject poverty in one of the worlds toughest slums is that much more difficult. Chances are that alongside fewer opportunities you would also have huge responsibilities placed upon you at a young age and pressures not only from your peers but also from your family and society as a whole. I have known of young girls who have been raped, prostituted or married off by the age of 12 or 13. Girls who are heading up households and ensuring their brothers and sisters can stay in school whilst they assume the adult role and forfeit their own futures. This must stop and we must begin by making their stories known and providing them with support. You may think of these slum girl’s issues as a remote and far off problem. You may imagine things like child marriage, prostitution and child-headed households to be distant issues; but these girls are living in 2017, right now in your world. These girls want all the same things that girls across the world do. They want opportunities, hope for the future, they want good friends and they want to have fun! They want to fit in with other girls, they want to connect with others on social media. They want smart phones and tablets, they want to be doctors, lawyers and politicians. We’ve had girls in Kampala’s slums telling us that they have slept with older men in exchange for a smartphone. Telling us that older men are propositioning them to marry with the promise of paying for their monthly toiletries or offering them an escape from an impoverished household. Although the reality is that they would simply be joining a new one and becoming stuck in the cycle of poverty. The truth is, girls are being exploited right now in our world and someone has to stand by them. So that’s what our teens project is doing. We support vulnerable teenage girls through these difficult years. We provide them with counselling and we support their basic needs. 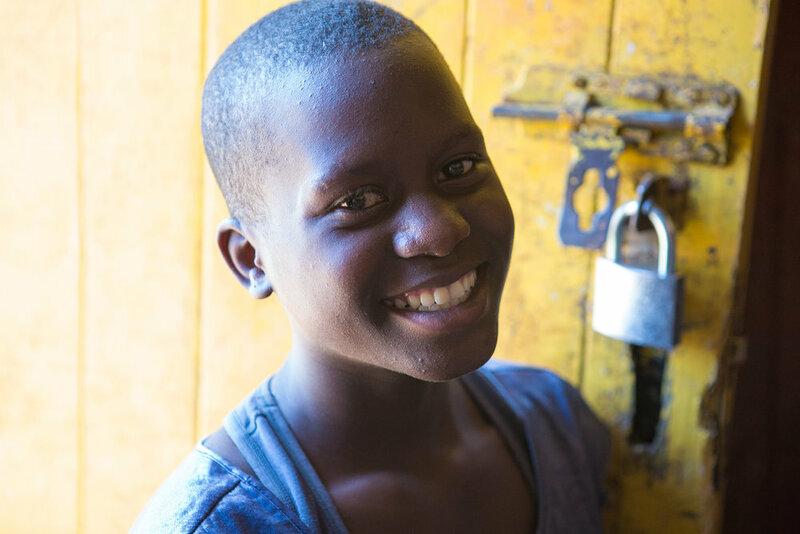 We also help keep girls in school through our child sponsorship programme. We provide girls with sanitary pads when they need them which helps keep them in school. On top of all this we are also working with teenage boys and whole families because girls come from communities and everyone should be involved in their empowerment. Boys need to be supported through their teenage years and guided through how to respect and champion their female peers. Our teens project also teaches young people about sexual health, consent, making good choices and having healthy relationships. In total KCK is working with over 1000 teenagers from the slums of Kampala. Each year we give them the opportunity to meet together and learn new things. This yearly event is called the Teens Conference. At the conference teenagers learn from role-models who have over-come the same obstacles they are facing to become leaders in their society. They also hear from specialists in the fields of education and youth work. And, of course they have a chance to have fun and be teenagers away from the stresses and responsibilities of their everyday lives. The next conference is coming up and we need your support. Without your support the day may not happen so could you spare even £1 to give these teenagers the chance to have a hope for their future? Donate Here!